One of the key aspects about Brazilian jiu-jitsu (BJJ) is the fighting part, commonly referred to as “rolling”. For that reason BJJ training sessions consist not only of a warm-up phase and a part where techniques are studied but at the end there’s a part where you fight. This part is crucial as it gives you the chance to try to apply the techniques you just learned under much more realistic circumstances. That being said, competition in the gym is fun but going out into the world and testing your skills out there is a great way to see how good your skill set is outside of your gym. On the 27th February 2016, I and a few members of my team went to a bigger regional tournament for exactly that reason. 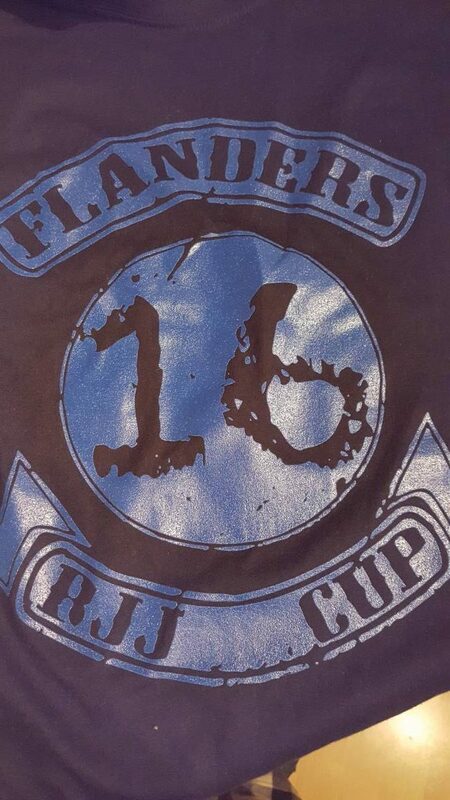 I want to share my experience of this tournament, the Flanders BJJ Cup 2016. With my weight on track (68,2 kg) and after a light breakfast we (my editor in chief and myself) were good to go to start our trip to the Flanders BJJ Cup. For the next 3 hours, we had Spotify running and plenty of sunshine. Our destination was Brakel, which is a few kilometres West of Brussels. The drive was fun and over time I started to get a little nervous. My first bigger tournament and the area we were driving through looked like we were completely wrong. We drove through small villages and it felt like travelling back in time. Until the moment when we took the right of way of a two-horse coach. We were staring at the coach and the cabby (and her teacher) stared back at us. As no one was moving we slowly, while being utterly confused, started driving again. We barely managed to get our confusion under control when the next weird road trip event manifested itself in front of us. There was an excavator blocking the street. Not very special, I agree. But the excavator was behind a truck, pushing said truck with its shovel right onto a field of grass. Minutes later we arrived at our destination. After a short walk, as parking space was very limited, we entered the hall hosting the Flanders BJJ Cup. After spotting and talking to my teammates, I walked around getting some information about the further development of the Flanders BJJ Cup. I’m a person that needs those kinds of securities, otherwise I feel uncomfortable and lost. Once I checked that from my to-do list I changed into my gi, starting to get mentally ready. I quickly checked my weight and had a small snack and some water afterwards. As I wasn’t scheduled to fight for another two hours I took it slow, just making sure during my warm up to never to fully cool down and remain flexible. I was lucky when my first fight ended up with a free ticket, which immediately made me move forward to the last 16. Then, finally, after a long wait: my first fight! I almost missed it as I never heard my name being announced. The sound equipment was terrible. Man, I felt amazing and I was very excited and pumped. All I wanted to do was to get on the mat and start with the next fight. That didn’t happen for another 40 minutes, though. I still felt good and was happy about the fight. Not only about winning but about finishing with the hanging armbar. It was something my coach and I were drilling a lot during the weeks prior to the event. So I made it to the last 8 in a very competitive tournament in a very stacked weight class (white belts, -70kg). I had my next fight. This time, I really almost missed it. None of my teammates saw that I had to step on the mat and I didn’t hear anything either. I randomly looked at the screen and saw my name, told my coach that it’s my turn again and ran to the mat. The fight wasn’t very long. I quickly ended up in my opponent’s full guard. Once I worked on breaking his guard, he applied a triangle choke. I defended it but I lost my equilibrium at one point. He quickly capitalised on this, transitioned, and finally finished me with an armbar. I was very disappointed about that loss. The main reason being not the actual loss, which was well deserved as my performance was bad, but rather what led to the poor performance. This ultimately forced me into a very unfamiliar position. Furthermore, it made my body stiff, slow, attackable and most importantly reactive instead of active. And that’s exactly what happened. My opponent attacked and I was simply too slow to act, even too slow to properly react. Until I finally managed to get a grip it was already too late and I was trapped in his triangle choke. I was defending myself well, but as already said, made a small mistake while trying my escape and was forced to tap to his armbar. Being too hesitant and cautious is a problem I already faced during practice and I am working hard on this. Mainly while trying to be more mindful while rolling at practice but also to expose myself to as many tournaments as possible. Tournament experience is the key to a great skillset in the BJJ universe. That all being said, I enjoyed the tournament a lot. I learned a lot about my BJJ but even more about myself. It’s said and emphasised everywhere where people talk and write about BJJ: it’s a tough, hard, and a very humbling road. The reward is more than worth it, at least to me. You will not only be in the greatest shape of your life. After a while, you’ll make friends and see the world (in order to get to tournaments). In my opinion, it’s a form of therapy which helps you to dig deep and really understand yourself. Ultimately, BJJ is an art that helps you grow as a person! 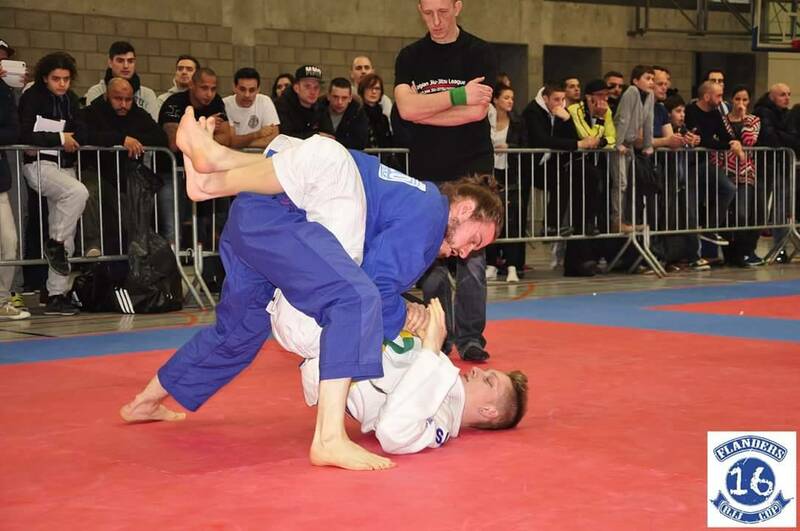 This entry was posted in BJJ, Lifestyle, Travel and tagged BJJ, competition, Flanders BJJ Cup, martial arts, roadtrip by Stefan. Bookmark the permalink.